IT may seem an unnecessary task to write a new Memoir of ANDREW FULLER when three have already appeared, each possessing great excellence, written by men who had the best of all qualifications for a biographer, – a personal knowledge of the life they pourtrayed. Besides these more lengthy memoirs, there have appeared lighter sketches, from the pen of familiar friends and warm admirers; so that, long ere this, the public has had ample means of forming its judgment on his character. A new book, however, is sure to find new readers, and the life of such a man as Andrew Fuller is not one to pass away lightly from us. Anything that will revive the fellowship of old friends, and introduce new ones to a knowledge of his history, can scarcely be unwelcome. I have tried to keep in view the supposition that many of my readers have only the most general notion of what Mr. Fuller said and did; and that some, at least, are scarcely likely to be tempted to a closer acquaintance by the uninviting folio of small print which contains his works. I have, therefore, endeavoured to give a careful summary of his labours and writings, and to define his position in reference to his various antagonists. Above all, I have been concerned to point out how his life, previous to the year 1792, was one solemn preparation for his great missionary work. Many readers will find much in this volume with which they are already familiar: a life cannot be re-made, even if it be re-written. They may, however, possibly find old material so re-arranged as to enable them to trace clearly the growth of Mr. Fuller’s mind and the progress of his labours. A good part will certainly be new to almost all; and I can but hope, that for the sake of this, Mr. Fuller’s friends will pardon the repetition of what is already known, to them. As in the history of a country, old buried material will turn up to refresh the page of the historian, so is the biographer gladdened with memoranda which, a loving friendship has kept to itself as a sacred treasure, or which circumstances of an accidental kind have brought to his hand. Of Much a character are the Letters to the Serampore brethren, and some unpublished parts of the Diary, with other lighter gleanings. The book has been written under circumstances anything but calculated to insure its accuracy and interest. It has, however, been compiled with a warm interest in the theme; and I can only hope it may be as pleasant and refreshing to the reader to peruse these memorials as it has been to me to collect them. MOST men have a desire to know something of the outward appearance of those whom they have known only through books or public fame. They are curious to see how far the qualities they have learnt to love and appreciate will find their way into the face, or express themselves in the gait and form of the “whole man.” Though sometimes the personal appearance of one whom our affection has exalted into a hero, is a little disappointing, more frequently it revives our old acquaintance, and deepens the impressions we have received of his character from other sources. Andrew Fuller cannot now be seen in the flesh, for nearly half a century has passed away since he died. Now and then an “old disciple” may be met with, having recollections of personal communion, but the number of those thus privileged is fast lessening. The reader may, nevertheless, be introduced to what can be told here of “his bodily presence.” As form helps to realize life, he may find, as he tracks the pilgrimage of this strong and holy man, the glimpse he has caught of the outward man, even, by description, may be of some service. The writer may perhaps be tempted to this course, since, long before he knew anything about the life and writings of Andrew Fuller, he was familiar with a portrait of him, painted with no common power; which portrait, hanging over the mantelpiece, seemed to cast a solemn shadow over the room, imparting its grave and serious look to the very furniture. It was hard, indeed, to believe it was not alive, so searching was the deep and tender glance with which it chased the observer into every corner. It looked down on us like a silent judge, deciding our childish quarrels, and frightening back the angry word from the lip, with an expression of mute yet pleading sternness it would be hard to find on any other canvas. Nor was it in the room alone its power was felt. It seemed to haunt the house. Many and many a time it has been near in childish watchings in the night, as if conscience had taken bodily shape in the abiding presence of so stern a monitor. This was the writer’s first acquaintance with Andrew Fuller; yet now that years have passed away, and another, and, it may be presumed, more matured estimate of him, has been formed from the perusal of his life and writings, all the old child feeling comes back again. The two impressions though received under such different circumstances, are much the same. Moreover, the remembrance of that picture has been like an interpreting companion in the study of his life. He has seemed ever at our side as we followed him in his stern, unbending way. Not only can we “well believe” all that we read of his loyal fidelity to conscience, his calm confidence in battle, and his unswerving constancy to his chosen toil, as he holds the home-link of the chain that bound the brethren in England to their messengers across the sea; but a glance at the picture tells us it must have been so. The portrait thus referred to is that of a man. tall, broad-chested, and firmly-set, the whole figure well harmonizing with the expression of the face. Ponderous, and perhaps a little heavy, but surely not ungainly, for “not giants but monsters are ill-proportioned.” The hair is parted in the middle, the brow square and of fair height, the eyes deeply set, overhung with large bushy eyebrows, not giving you the idea of seeing quickly the surface of things, but of slowly penetrating to their depths. The whole face has a massive Johnsonian expression, which the accomplished author of “Rab and his Friends” characterizes as “sleeping thunder,” and to quote an expression from the same author, in describing his humbler hero, having about it the “marks of many battle-fields.” Shining through these sterner features there is a look of great tenderness, but not of tenderness weakly exercised – ‘very jealous for the “Lord God of hosts,” yet full of pity for the erring and the lost. It would not be difficult, with the picture as our guide, to conjecture the mental and moral features of the man whom it portrays. We should surmise that he had made his own way in the world, through much toil and many sorrows. If we wished to add to it an illustration of his life, we should put an axe in his hand, and the clearings of a forest in the background, as representing one who had settled in strange lands and broken up virgin soil. We should further conclude, that he would be ruled by intense convictions, and, fearless of danger, would follow wherever they led him, and he would leave his mark on whatever he undertook. The lower part of the face looks as if his speech would faithfully interpret the meanings we have read elsewhere. There will be, we should say, neither eagerness nor haste in his words, but they will be few and weighty, and their utterance slow and pausing. Such, indeed, were the features of the life which this picture realizes so faithfully. In its first stage we have the history of one slowly growing up to the great truth expounded in ” The Gospel worthy of all Acceptation;” and in its second, impelled by the principle he had reached, seeking the salvation of the world in the great missionary enterprise, in the service of which he lived and died The church reveres his memory, and would fain perpetuate it, because he made a great outline of truth and filled it up with his life. It behoves the artist to spend his main skill on the face of the sitter, that the beholder may carry away that which it is most desirable he should remember. The biographer has the same task, filling up the happy outline which has been given him, once for all, by the author of the “Worthies of England,” when he declares his aim and task to be, (1) Giving some glory to God; (2) Preserving the memory of the dead; (3) Holding forth examples to the living; (4) The entertainment of the reader. I have a confession to make ~ I haven’t been regularly attending church for quite some time. Why is that? Is it because I no longer believe or is because I have imbibed the modern idea that Christians don’t have to go to church? Neither is the case. There is an element of social fear, the fear of going to a new church and getting ‘mugged’ by so many who want to make you feel so welcome, which a good number undoubtedly do want to achieve ~ however, it is my belief that a good number of the overtly obnoxious are somewhat superficial in their practice of ‘niceness.’ My experience has been that the ‘niceness’ is generally short-lived and is quickly followed by suspicion, jealousy, etc. But the main reason I haven’t regularly attended church is my inability to find a church that satisfies my strong desire to find a ‘Biblically sound church.’ I describe myself as a ‘Particular Baptist,’ which isn’t a way of saying I’m better than everyone else, but that I have a name that describes my belief system and differentiates my beliefs from many other ‘Christian’ sects. Because of this somewhat ‘narrow’ belief system it is difficult to find a church I can be happy with. Now there are a number of churches that would describe themselves along similar lines, however, practice falls short of what they define themselves to be ~ and to a degree this is true of all of us that profess Christianity. My problem is that I can’t seem to get close to a church that comes close to my belief system, without betraying some vital element of it. I will never embrace the practice that sees a church cater to those who are unbelievers in the meetings that are meant for worship and the building up of the elect to the extent that everything is aimed at the unbeliever ~ there is a widespread practice in the church today that sees that which would bring unbelievers into the church as that which dictates the policy of church worship ~ it is popularised by such people as Rick Warren (and there is more to it than that). Of course my viewpoint is largely regarded as being outdated and is far from popular. I am quite happy to leave these groups to their own devices, having failed to successfully warn churches of their tendency toward this type of thing before. Yet it disturbs me greatly that so-called ‘Reformed’ churches are chasing after this very sort of thing, while still claiming such men as Charles Haddon Spurgeon among those that have gone before them. Such downgrade practices have been seen before and these men battled it at great personal cost. My friends, men like Spurgeon would be appalled to see the practices of the churches in this regard today and would distance themselves from any sign of unity with such groups. Such pious claims of reaching the unconverted by becoming like them is not what Paul had in mind when he said he would become all things to all men and the sooner the church understands this the better off it will be and the greater will be the number of true converts entering the church. OK, I should mention right at the outset that I would be classified as a Calvinist, though I am more correctly defined as a Particular Baptist ~ none-the-less, my refined invective is aimed directly at myself, as well as other procrastinating Calvinists. So please, if you are a Calvinist, do not think that this is an attack from someone who doesn’t know what a Calvinist is – I’m smack bang in the middle of your camp. Of course some would say I’m not because I’m Baptist and not a Paedobaptist, but let us not get too bogged down in that on this occasion. I have had occasion to reflect (meditate) on a particular issue that is found across the board today in Reformed circles and that is on what I am calling procrastinating Calvinism. I was thinking of calling it Procrastinating Hypercalvinism, but that would be extremely inaccurate, for most of the procrastinaters that I am thinking of, whether they be individuals or groups of individuals communing together in churches, actually do believe in evangelism – at least in theory. In practice there seems to be very little of it actually happening however. 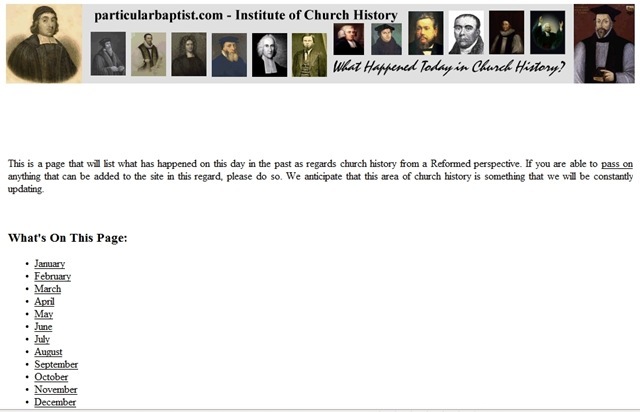 I was thinking of what the churches of yester-year got up to and in particular the pastors/elders of these churches. They seemed to be made of a different mettle to people of today. I’ve been involved in works where there has been opposition to evangelistic efforts because people were too busy, too tired, had too many other things to do (mundane things), etc. Now in my opinion, this would seem to be a far cry from the attitude and approach to the lost world by Christians, churches and pastors/elders, than what was the case in days gone by. In fact, I would say that we should be down-right ashamed of ourselves that we have allowed other things outside of our Christian calling to dominate our lives to such an extent that we have forgotten to practice our theory in the area of evangelism – not that this would be the only area affected by such sentiment. 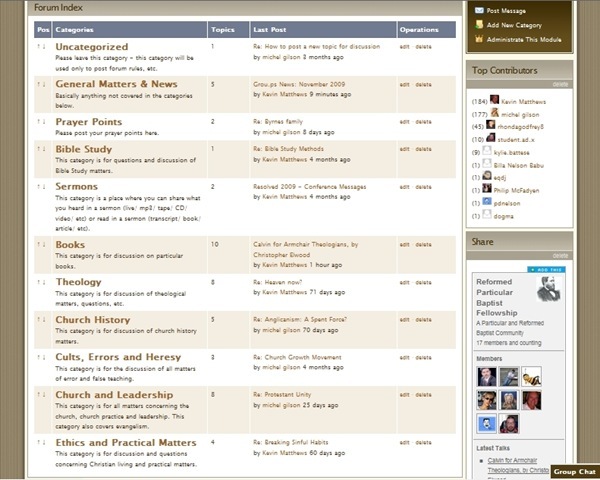 Reformed churches have become just a little (maybe extremely) too comfortable with their present lot and the committment to evangelism, church planting, missions, etc, has been allowed to slide away to the point of almost non-existence because we care too much for the things of this world, whether it be entertainment, sporting activities, etc – many of which are perfectly acceptable liberties in and of themselves. But the world perishes and the church’s mission is cast aside while we do so. We are very keen to make a convert of an erring brother or sister, to enter into a debate among ourselves as to whether we should address pastors/elders in certain ways, as to what a person should be wearing in church and the like (sounds a bit like the Pharisees and Sadducees doesn’t it? ), etc, but when it comes down to making an effort and self-sacrifice – well, we are just a little too busy for that. I remember a time when I was extremely horrified by a church that was prepared to loose what had become a fantastic outreach ministry to the surrounding community, because people just had too much on their plates outside of the church ministry – what an absolute disgrace! Yet this was a supposedly Calvinistic Baptist church that believed in evangelism! The outreach ministry had already proven successful, had already established itself in the community and had already brought a multitude of people into contact with the church – yet it was threatened by people being too busy. This proved to be the last straw for me and I left the church not long after. Interestingly, there has been no outreach ministry of the type held since. Are we just too plain lazy and have we become procrastinating Calvinists? Or have we become practicing Hypercalvinists, believing that no matter what we do the Church will grow because the elect will be brought in by God? I am fearful it is both. 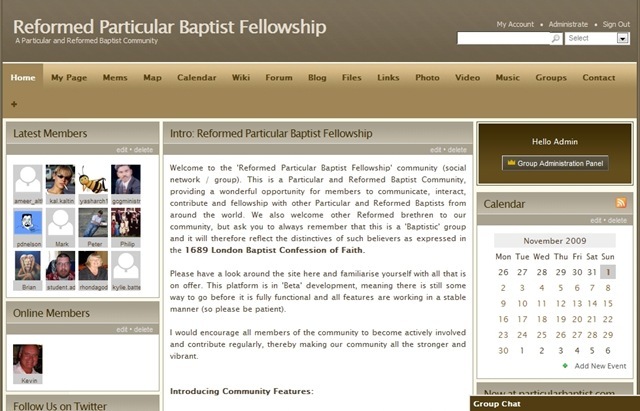 I long for the day when Reformed churches again take up the baton that we have all too easily dropped and left behind in our comfortable little groups that make war on one another ~ and being a Particular Baptist, I am especially thinking of Particular Baptists/Reformed Baptists. We have a heritage from the Lord and we have the truth passed down to us by those that have gone before, yet we are failing to walk worthy of the calling we have in Christ Jesus.